Tucked inside today's HP’s announcement of their new Pavilion gaming systems is an interesting item: a mobile Radeon RX 560X graphics option. 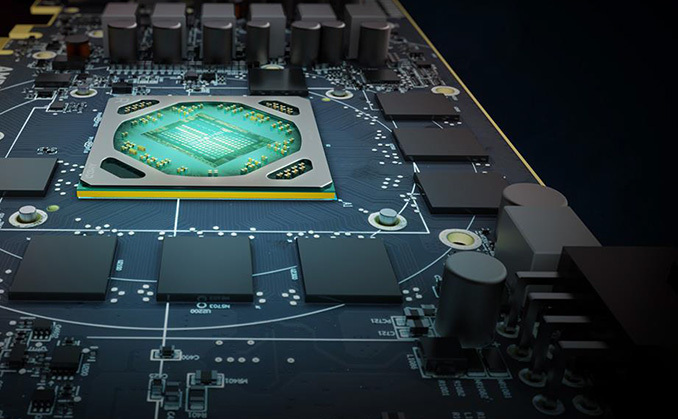 This is in fact not a typo on our part or on HP's part; rather AMD is launching a series of new and yet surprisingly familiar video card SKUs for their OEMs. That's right, we've reached that time of the year once again: the semi-annual OEM GPU rebadges have returned. To that end, AMD today is announcing a series of new OEM-only SKUs for desktop and mobile, which we're unofficially dubbing the Radeon RX 500X series; officially, AMD is categorizing these products under the Radeon 500 series family, with two product lines: "Radeon RX 500X Series" and "Radeon 500X Series". These new SKUs are not available as retail add-in boards, instead the RX 500X series is the latest in the roughly annual GPU rebadging cycle that both GPU manufacturers participate in for PC OEMs. As this tends happen every couple of years or so, regular readers may recall the OEM desktop Radeon 300 or HD 8000 series. But if this your first OEM rebadge cycle the summary is this: with the shorter product cycles of OEM systems versus retail channel video cards, OEMs want to advertise the latest components when they refresh and update their systems, even when new GPUs are not available. To which NVIDIA and AMD rebrand, refresh, or otherwise re-designate existing SKUs as OEM-exclusive parts. In the case of this latest rebadge cycle, this comes on the heels of Intel's recent 8th Gen Core CPU launch, which saw AMD's rival launch a number of new CPU SKUs for desktop and mobile. And while there's a certain degree of sheer oddity to an Intel update triggering an AMD rebadge, at the end of the day OEM product cycles are primarily tied to Intel's CPU cycles. So now that OEMs have new Intel CPUs to put in their machines, they want to throw in "new" video cards to match. As far as naming conventions go, AMD has been ambiguous thus far in whether these new SKUs are going to be treated as a wholly new series, as these are new SKUs in the existing RX 500 series. With the product pages posted after the announcement, it appears that these SKUs are falling under the same product family umbrella as the OEM Radeon 500 series. But regardless of what AMD does, as there are multiple new SKUs across the RX 500 lineup, it's convenient for us refer to them together as a single block of parts. Adding an extra wrinkle to all of this is the fact that word of the Radeon RX 500X series got out ahead of today's announcement, so there's been a lot of people (ourselves included) wondering just what was going on. As the RX 500X series was first outed through the AMD website source code, some confusion arose about a potential retail AIB refresh, but to clarify again, the RX 500X series is an OEM-exclusive stack. Which, unfortunately doesn't mean that you won't see the new SKUs listed elsewhere; since the launch of the RX 500 series last year, AMD hasn't been maintaining a separate OEM section, so the OEM Radeon 500 series have been appearing in AMD's main graphics section. But that's enough about the presentation. Let's get to the meat of the matter: technical specifications. While we have not seen the official specifications ahead of today's announcement, in a call with AMD we have been told that the new parts have the same nominal specifications as the old parts. That means that there have been no clockspeed adjustments or other adjustments that will cause the new OEM parts to perform differently than the existing AIB parts; it's exactly the same hardware as before. In practice, OEMs already alter the specifications of some of their video cards by turning down clockspeeds for power efficiency reasons - especially in laptops - so expect to see the same thing here. Instead, AMD's specifications represent the highest frequencies these new parts will be clocked at, just like in past generations. Which for the AnandTech reader, means that deciphering the RX 500X specifications is very straightforward: the X doesn't change a thing. As far as documentation goes, OEM GPUs (particularly mobile) have never received much attention, especially since they are subject to aforementioned OEM-specific adjustments or re-configurations. But for the most part, the RX 500X rebadging simply involves an extra ‘X’ to the name, and with the RX 560X showing up as both 14CU and 16CU variants that originally appeared last summer. 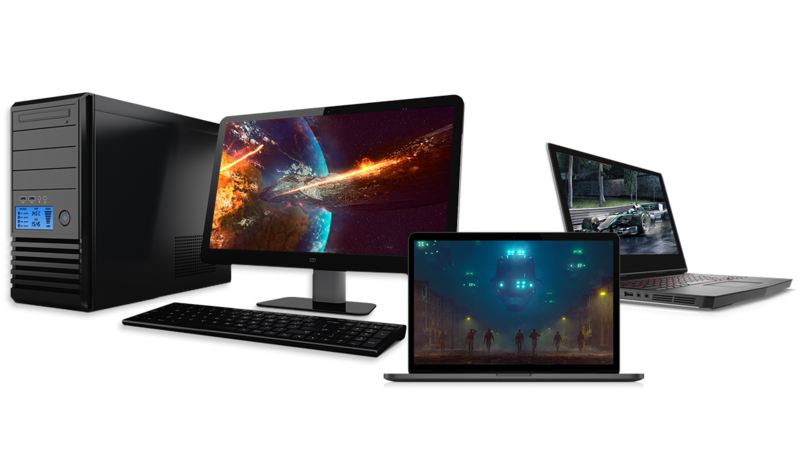 And it should be noted that like the RX 500 series parts before them, AMD is maintaining a single series of SKUs for both desktop and mobile, so clockspeeds aside mobile implementations will be based on the same GPUs and have the same configurations as their desktop counterparts. The one real wildcard in all of this is the Radeon (sans-RX) 550X, which has no directly named equivalent from the former models. So it is not clear how the four 550 & 540 class products (RX 550X, RX 540X, 550X, 540X) exactly line up. There also exists an RX 550 variant with 640 stream processors (10 compute units), quietly released earlier this year; that might be involved here, considering the RX 550 product page on the Radeon site specifies possible higher CU counts, while the product page on the main site does not specify CU count at all. Update (4/11/18 10 a.m. ET): AMD's Radeon RX 500X and Radeon 500X product pages have finally gone live, and we have updated the table accordingly. These parts were launched just last week, with the Radeon RX 540X and Radeon 540X as 8 CU parts for laptops. Meanwhile, the Radeon RX 550X is listed for desktops and the Radeon 550X is listed for desktops and laptops, all coming in 8 CU and 10 CU variants. The non-RX 500X parts have the bus halved to 64-bit, like with the previous cycle's models, and the Radeon 540X has an additional 8 ROPs cut. But as far as the numbering goes, this stack clears up some of the confusion with previous SKUs regarding CU count, as well as the numerous Polaris 12 options. These 500X series Polaris 12 parts are listed with higher boost clockspeeds (up to 1219 or 1287MHz) than the previous RX 550 SKUs (up to 1183 MHz), but this is likely to be a documentation update rather than a clockspeed tweak. In any case, while some may point to AMD’s announced model numbering scheme for revisions (i.e. RX 585), the RX 500X branding is to the taste of OEMs, and is not beholden to retail numbering. Instead, the purpose of the Radeon RX 500X series is - besides the obvious case of incrementing the product name - is to give OEMs a means of calling attention to all of the improvements AMD has made to the family on the driver side of matters in the last year. As non-technical customers may not be familiar with the brand and its developments such as the many new features introduced in the Radeon Software Adrenalin Edition, this is one method OEMs can use to communicate these changes to buyers without having to explain the whole concept of drivers and feature updates. Which at the end of the day won't change the fact that this is the same hardware, but it aligns with OEM logic, which as we've seen time and time again, isn't rooted in the same space as computer enthusiast logic. Finally, other than HP’s Pavilion 15-cx0030nr laptop, the RX 560X has also been spotted ahead of today's official announcement on non-US Acer product pages for the Nitro 5 AN515-42, which was originally unveiled at CES with the RX 560 option. So along with these new laptops, we should expect to see other OEM systems incorporating the RX 500X series in the near future. At least they're not GTX675M's, right? ... oh wait, we are getting paid. This is not a rebadge.